I was deeply unhappy and in my heart I knew that I no longer wanted to be in this marriage, but in my head i hadn't made that decision. It felt overwhelming to even think about it as a real possibility. Other aspects of our lives recede for holiday season pulling into focus the personal space of home. Dissatisfactions that we skirt over in the business of the year have more space to breathe in December. They stir the pot of our awareness and uncomfortable feelings bubble to the surface. Feelings of dissatisfaction tend not to present us with clear, neatly defined questions, let alone clear, neatly defined answers. Your awareness has been stirred in order to wake you up. You can choose to fall back asleep (and yawn into the new year with old beginnings) or stay awake and do awakened work. This next piece is crucial: Leaping into action is probably not the best solution. Our human nature is uncomfortable with discomfort. So we look for a solution, rushing into action. Allow yourself to be uncertain. A client recently told me that they were 'in a state of inquiry about their marriage'. I thought it was beautifully and insightfully phrased. 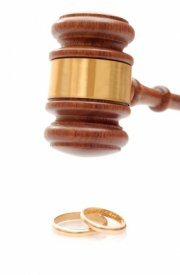 You may choose to get a divorce, or remain in the marriage, separate for a while or seek counselling with your partner. But this is not the time for decision and action. Its' a time to inquire into exactly what your dissatisfaction is telling you. So, how do you engage in a state of inquiry about your marriage? By taking time for yourself. It may be that conventional advice is more along the lines of 'keep communicating with your partner.' No. The point is that there has been a lot of communicating - or perhaps miscommunicating - over Christmas. I put it to you that you won't be able to hear the wisdom of your own dissatisfaction above the cacophony of entangled conversations with your partner. Carve out time in your schedule to be in your own company. It will be very revealing. If you do this, there is one piece of communication to be shared with your partner: tell them what you are doing. What you share and how best to share it will vary from marriage to marriage, but the guiding principle is the same. If you change your behaviour in the relationship - especially if the holidays have been tense - its respectful and conducive to communicate this change to your partner. Otherwise its just withdrawal - which is unkind and unconducive. It may be that you are both in a state of inquiry together, but its more likely that one of you is more dissatisfied and inquiring than the other. If this is the case, its vital that you focus on your own process (emotions and thoughts) to get clarity on what you want. Again this may sounds counter intuitive. The received wisdom is often: empathise, see things from your partner's point of view and work it out together. But when dealing with the hugely emotional choices and complex factors that inform your decision about how to proceed with your marriage, emapthising is not the best starting point. It has its place later. Here's why: Feeling someone else's feelings clouds your own. I'll say that again - feeling someone else's feelings clouds your own. ('To empathise' literally means to be in someone else's feelings.) This clouds your judgement. And in marriage - more than in other relationships, unconscious empathising becomes a habit. Because its unconscious, we fail to distinguish what feelings belong to the other person and what to me. A partner's feelings can feel like our own. Which is why carving out time to be with yourself is important. When we are distressed we are more likely to fall into habits - they take less effort. We are comfortable with habits precisely because they take us out of discomfort. But right now, its important to sit in the space of discomfort and inquiry. Unconscious empathising will automatically lead to habitual behaviour and its hard to make genuine choices about your marriage if you are caught in habitual behaviour. On the contrary, habitual behaviour is the lid that closes the pot of your awareness, locking away the scent and steam of dissatisfaction. So, in a respectful and conducive manner, make space for yourself in your life. There will be plenty of time for empathy, communication and working things out together in due course. By sitting with your inquiry, the best option(s) will become clear. But in order to make your journey as frictionless as possible (and it is possible to go through a traumatic change with minimised friction), its vital to reconnect with your own voice: the 'I' that is often lost in the 'we'. I would also suggest that you choose carefully with whom you discuss your awakened work. Even the remotest possibility of you getting a divorce can send other people into a spin. This is a delicate and precious time for you - a space of uncertainty. so treat it with respect by respecting your privacy. Its not to say don't tell anyone, but tell people who will be respectful of your process - whatever the outcome might be. Finally, I'd advise getting support from a neutral source - a professional, if appropriate. There is a difference between discussing your process with a friend and getting support from someone neutral. In December of 2004 I discussed my dilemma with three people who love me deeply and whose integrity I trust. At the start of January 2005 it was clear to me that I needed to speak with someone external to the situation. Over the next two months I spoke with two professionals - a coach and a counsellor. This was invaluable in making my choice clear, and my course of action as frictionless as possible. The length of time you spend in an inquiry about our marriage will vary from person to person. If you stay with the inquiry it will complete itself. You'll know this because a course of action (or actions) will become inevitable. It may be that the course of action will be to divorce. Or it may be that the course of action will be to have a clarifying conversation with your partner. Or to have a series of counselling sessions with your partner. It wont necessarily be one act of finality. I say that because our focus on solution often means that we seek finality. The inevitable course of action might be an ongoing inquiry between you and your partner. But whatever action arises from your pot of awareness will be more focused, loving and ultimately happy-making than action that simply reacts to the spotlight of the holiday season. To visit Vena's website, click here.